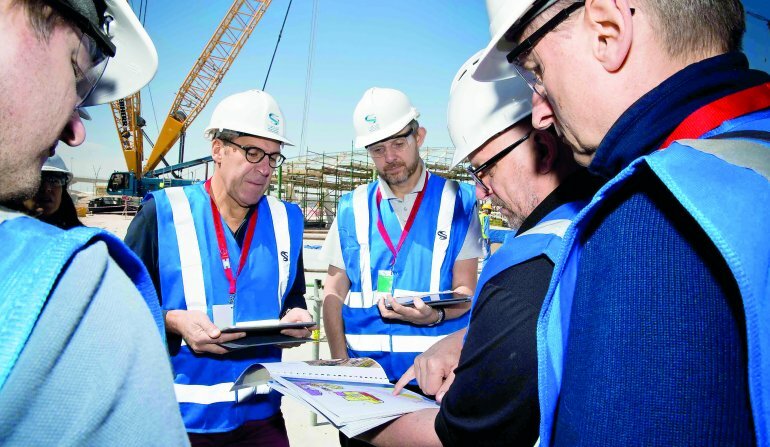 Representatives from Qatar and FIFA recently visited four proposed 2022 FIFA World Cup stadiums to assess progress and further familiarize themselves with the venues. The group, which comprised local experts from Qatar and FIFA staff, visited Al Wakrah Stadium, Khalifa International Stadium, Al Bayt Stadium – Al Khor City and Al Rayyan Stadium. They assessed various stadium facilities, including competition areas, ticketing, marketing, media, broadcasting, IT, hospitality, protocol, security and health and safety. Khalifa International Stadium’s redevelopment was successfully completed in 2017 and is currently being prepared to host the 2019 World Athletics Championships, while Al Wakrah Stadium, Al Bayt Stadium and Al Rayyan Stadium are all in the final stages of construction. Following health and safety inductions at each venue, the participants were split into smaller groups to assess the areas relevant to their expertise. During debrief sessions, each group reported on their findings and outlined any areas which required resolutions. Colin Smith, Managing Director of the joint venture and FIFA’s Chief Tournament and Events Officer, said: “The visits mark another important step towards the 2022 FIFA World Cup. The team had a very productive week, visiting four of the eight proposed stadiums for 2022. Further inspections of all Qatar’s proposed stadiums will continue on a frequent basis.